Charitable Partnerships – Spyderco, Inc.
Spyderco believes deeply in helping our community, and one way we do that is through charitable partnerships and donations. We donate a portion of the sales of many of our knives to charitable causes like medical research and caring for our nation’s wounded veterans. We also regularly support law enforcement and military personnel, scouting organizations, and a broad range of community-oriented events and services. Over the years, we have supported numerous charitable organizations through sales of specific products; our current partnerships and corresponding products are noted below. Parkinson's disease is a neurodegenerative brain disorder in which those afflicted gradually lose the ability to regulate their movements, body, and emotions. Although the disease itself is not fatal, the complications associated with it are very serious and are collectively considered the 14th top cause of death in the United States. Spyderco is proud to support this worthy cause by donating a portion of the sales of our Mantra™ 2 and Mantra 3 knives to the National Parkinson Foundation. To learn more about the foundation and how you can help support its efforts, please visit: http://www.parkinson.org/. Nearly 5.4 million Americans suffer from Alzheimer’s disease, a progressive brain disorder that slowly destroys memory and thinking skills. To help battle this tragic disease, Spyderco proudly donates a portion of the proceeds from the sale of every Sage Series folder to the Alzheimer’s Association, Colorado Chapter. The Alzheimer’s Association is the leading voluntary health organization in Alzheimer care, support, and research. Their mission is to eliminate Alzheimer’s disease through the advancement of research; to provide and enhance care and support for all affected; and to reduce the risk of dementia through the promotion of brain health. The Alzheimer’s Association Colorado Chapter provides counseling, educational programs, support-group services, and a 24-hour help line to serve the individuals and families in Colorado living with Alzheimer’s disease. To date, your purchases of Spyderco’s Sage Series knives have helped us donate more than $100,000 to this extremely worthy cause. For more information about their programs and other ways you can support them, please visit http://www.alz.org/co/. Spyderco is very proud to support Guardians of the Ribbon/Pink Heals Tour and the "Cares Enough to Wear Pink" programs by donating a portion of the sales of our pink-handled knives to this amazing organization. Founded in 2007 by retired firefighter Dave Graybill, this incredible charity focuses on providing direct care to women battling all forms of cancer. 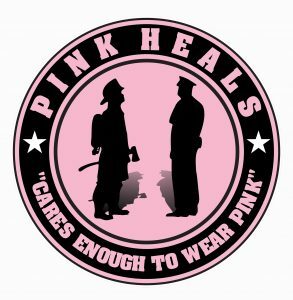 The Pink Heals Movement, best known for its fleet of pink fire trucks and police cars, tours the U.S. visiting women and children cancer patients, determining their most critical needs, and coordinating local resources to meet those needs. Pink Heals also recruits the support of tax-based services and community leaders to ensure continued support of women battling cancer by the donations staying local to the community it was raised in. Most importantly, Pink Heals applies 100% of all the donations they receive to direct care for the women it serves, providing immediate, tangible support to those who need it most. All the charity’s operating expenses are paid for by sales of pink shirts bearing their organizational logo. These shirts are also the foundation of the "Cares Enough to Wear Pink" campaign—a national campaign intended to increase the focus on women as one of the world’s most precious resources. Spyderco is honored to support the Guardians of the Ribbon/Pink Heals Tour and the women it serves. To learn more about its extraordinary programs and other ways you can help support their efforts, please visit www.pinkfiretrucks.org.